Quiet court location near top rated schools. Home is nicely updated with new carpet, baseboards, interior and exterior paint. Tile entry and wood laminate. Remodeled kitchen with granite counter tops and updated appliances. Convenient additional pantry closet. This former model home has additional downstairs bonus room that can be used as oversized office or additional bedroom. Dual pane windows throughout and new rain gutters. Downstairs bedroom and bath. Convenient side yard access providing ample space for RV/trailer parking. 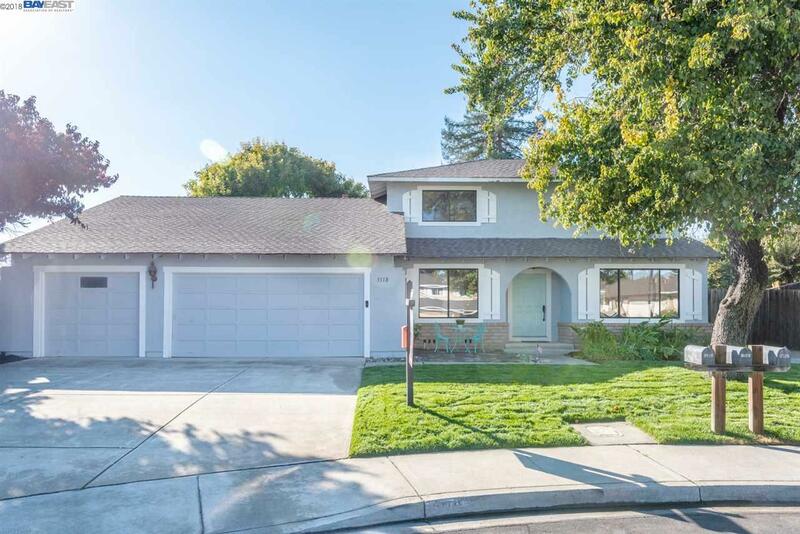 This 4 bed, 3 bath home has dual entry 3-car garage. Backyard includes garden space, large patio area and ample fruit trees for your enjoyment.